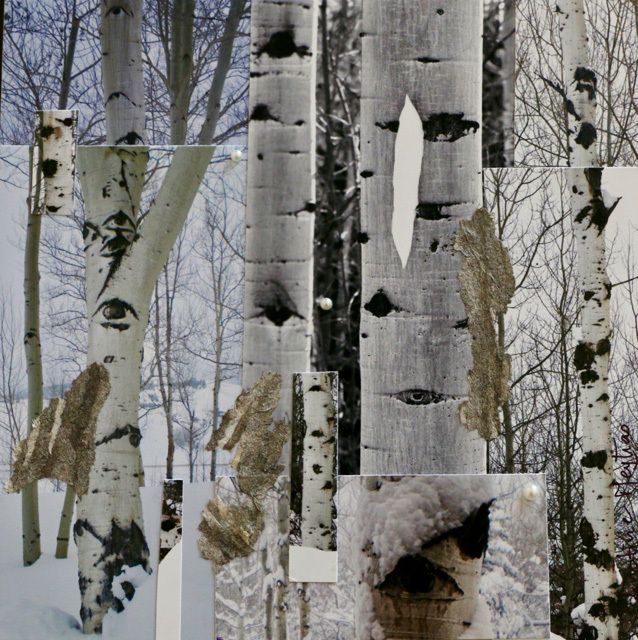 This photo collage is the fourth in a series about Aspen Trees. 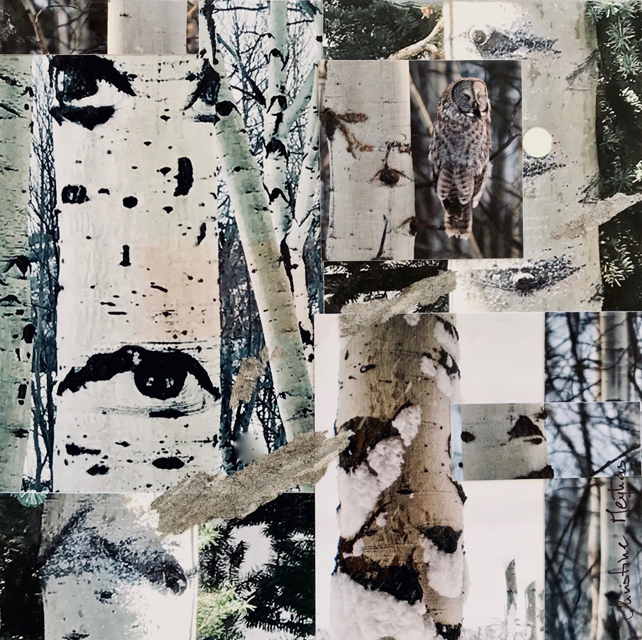 There are faces on Aspen trunks, “ladies faces”, with their eyes underlined in Khôl, and there are other eyes, like the golden eyes of a Great Grey Owl. They give the forest a vibrant life. Small round mirrors multiply the surreal gaze. 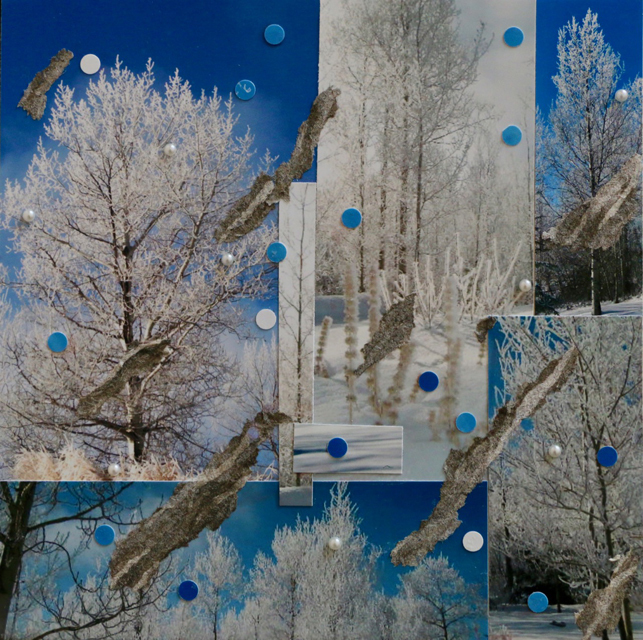 This photo collage is the third in a series on Aspen trees. It is about Aspen tree trunks with their black eyes against snow, and how different tree trunks added together create a new winter forest of mysterious trees. 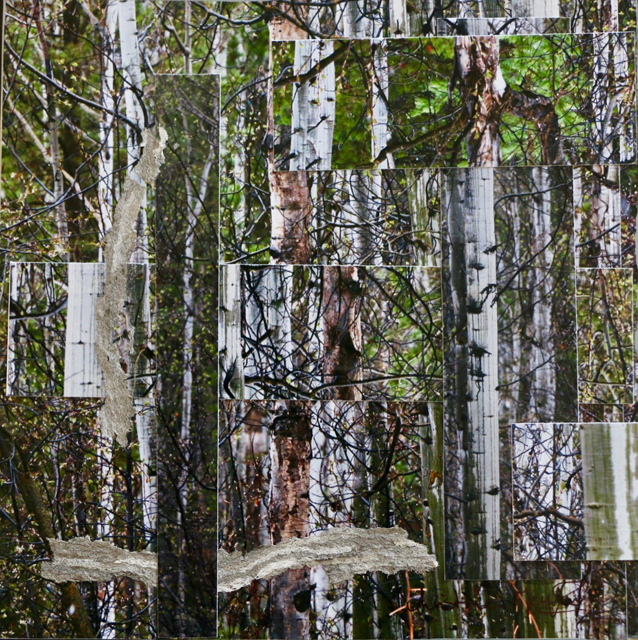 This Photo collage is the first one in a series on Aspens Trees. How do you feel when walking in the forest, looking at the light finding its way to the ground through layers of tree trunks, leaves, wasps nests ? It all becomes a weaving of refracted patterns and colors. 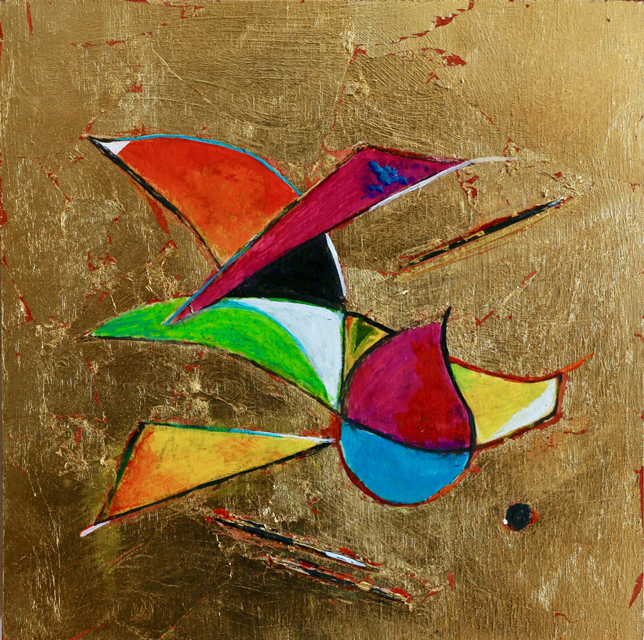 The notion of Time: Time past evoked in the the fissures of gold leaf, Fleeting Time with the wing shapes of the delicate structure and completing the arc of Time, the Present evoked with toothpicks reminiscent of ink quills used when writing by hand and bridging Past and Future.